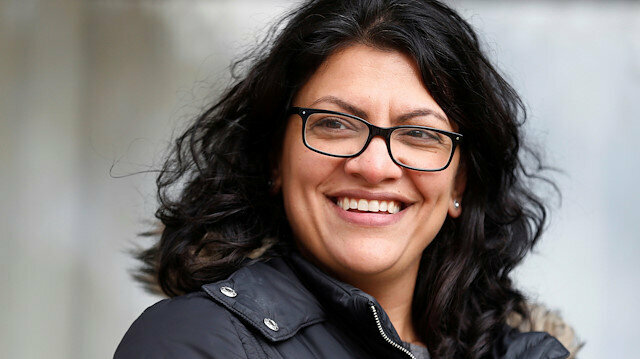 In Tuesday’s hard-fought U.S. mid-term elections, Tlaib clinched the seat for Michigan's 13th congressional district after incumbent representative John Conyers stepped down amid sexual harassment allegations. Turkey’s foreign minister on Thursday congratulated the two newly elected Muslim congresswomen in the U.S.“Congratulations to Ilhan Omar and Rashida Tlaib for being elected to the U.S. Congress. This is a great achievement for Muslim Americans,” Mevlut Cavusoglu posted on Twitter.Minnesota's Omar and Michigan's Tlaib both made history Tuesday by winning their elections and becoming the first Muslim congresswomen to be elected to the U.S. Congress. The Palestinian-American entered U.S. politics in 2008, when she won a seat for the Democrats in Michigan's State Senate. In an interview last week with CBS News, Tlaib described the prospect of becoming the first Muslim congresswoman as “changing the course of history”.